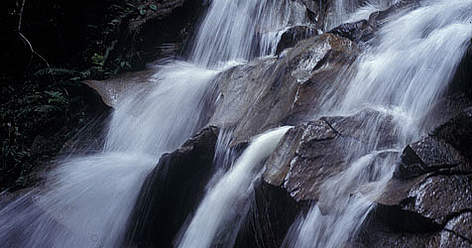 Freshwater is perhaps the most crucial resource for humans and all other living creatures on earth. Our life revolves around water, and sufficient clean water is essential for our healthy living as well as the health of the environment. Malaysia receives abundant rainfall averaging 3,000mm annually that contributes to an estimated annual water resource of some 900 billion cubic metres. About 97% of our raw water supply for agricultural, domestic and industrial needs are derived from surface water sources primarily rivers. Malaysia has 189 river basins - 89 in Peninsular Malaysia, 78 in Sabah and 22 in Sarawak. All the rivers originate and flow from the highlands. The highland forests and wetlands (including forested wetlands and water bodies such as river systems) constitute key freshwater ecosystems in the country that deliver a multitude of benefits, from providing natural resources, gene pools, and habitats for flora and fauna, to enabling water purification and flood control. Conserving freshwater habitats – focuses on improved protection and management of priority freshwater habitats.